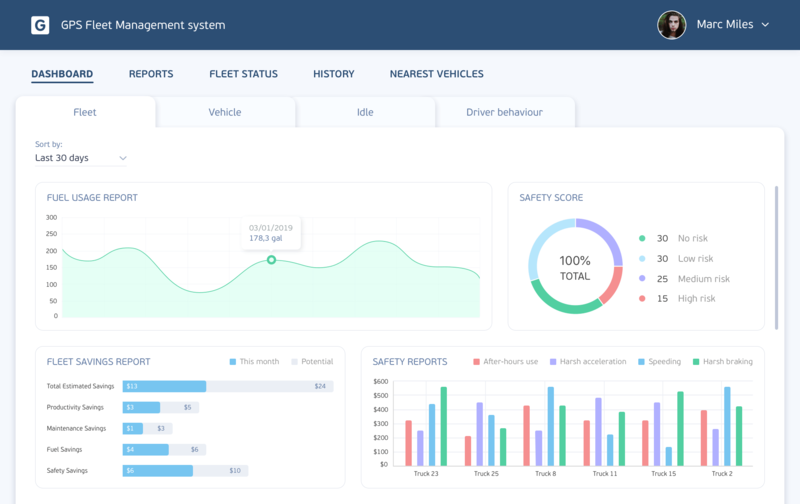 A fleet management system that allows clients to rent a truck online and monitor the state of their cargo in real time. The system helps to reduce fuel losses, improves fleet management, and improves customer satisfaction. Any logistics business includes a large number of variables to track and measure. You have to monitor the fuel costs, always be aware of the state of your fleet for timely service, use efficient GPS tracking systems to receive real-time info on the location of your cargo, and so on. If you rent your trucks to third parties, the overall picture gets even more complicated, and it becomes pretty hard to manage the fleet business without the use of specialized logistics solutions. 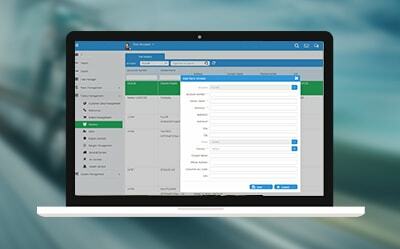 A large logistics company that handles its own fleet and offers trucks for rent asked us to develop a custom fleet management system. 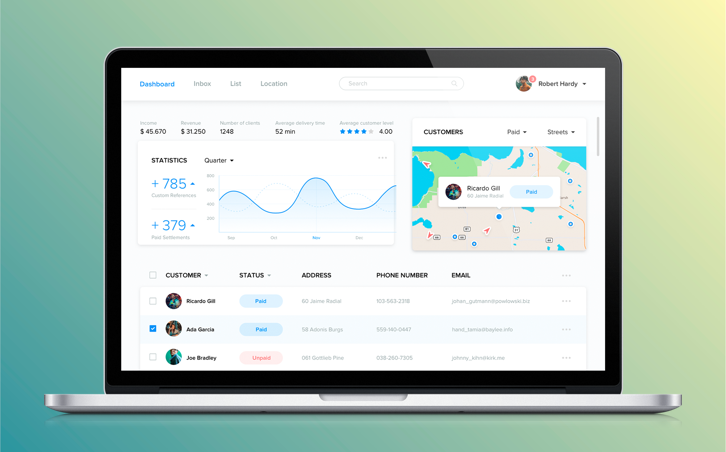 The primary requirement was to provide clients with a reliable online booking system that will allow them to rent fleet vehicles and monitor their state and location. 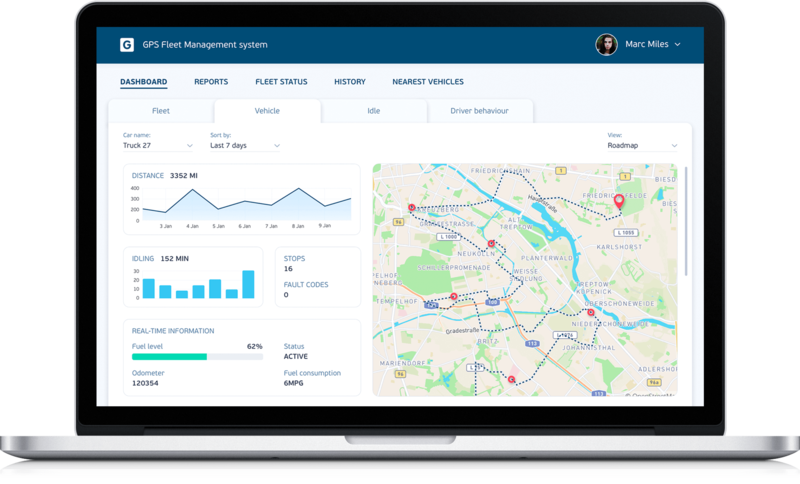 Also, our customer asked us to implement a fuel management feature that can help to optimize company costs. The truck booking system should provide the company with the ability to maintain its fleet in good condition. The GPS fleet management system monitors dozens of important indicators to significantly improve fuel management. Company managers can always be aware of the amount of fuel required for each vehicle, control fuel consumption, and define the possible ways of cutting fuel costs. 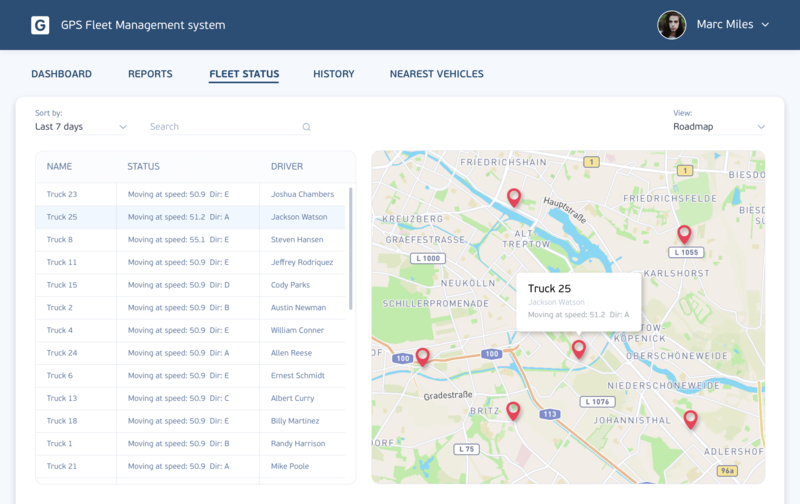 The fleet management system we developed allows users to monitor all the information that is related to trucks inventory, current and future assignments of drivers, etc. To provide our customer with the ability to review all clients’ information with a couple of clicks, our developers have added an easy-to-use contact management feature to the system. With its help, any employee can review and edit such info on clients as contact information, booking details, the current number of leased trucks, and more. 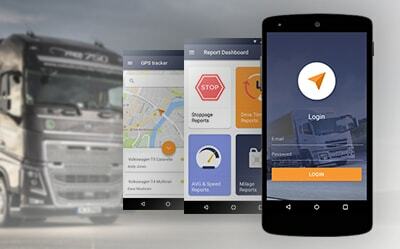 The fleet management system includes advanced logging and reporting features. Company management can visualize core KPIs with a couple of clicks and create easy-to-read interactive reports. A large logistics company that rents its vehicles to third parties.